Favourable Judgment For Dyneema® fiber In US Patent And Trademark Infringement Lawsuit Against Armor USA, Inc. 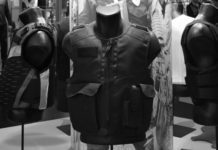 The United States District Court for the Northern District of Texas concluded a judgment for patent and trademark infringement and related claims against Armor USA, on April 22, 2008. The judgment relates to DSM’s super strong polyethylene fiber Dyneema®. With this judgment DSM was able to stop Armor USA from selling infringing products comprising polyethylene fiber on the US market. Armor USA is a Texas based company with manufacturing operations in China. DSM is a global life sciences and material sciences company with its headquarter based in the Netherlands. The judgment finds DSM’s patent valid and infringed. 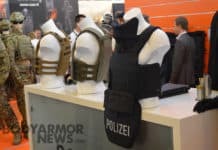 It also finds that Armor USA infringed DSM’s registered trademarks Dyneema® and Dyneema Purity® by using the brand name “Unima” in connection with products it was offering for sale. 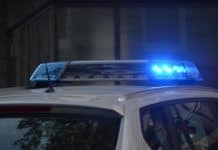 Armor USA has agreed to stop infringing DSM’s patent and to stop using the brand name “Unima” or any other brand name confusingly similar to DSM’s registered trademarks. This judgment in favor of DSM is the third in a row after earlier positive judgments in the Netherlands and France in 2004 and 2006 respectively. With this lawsuit DSM reconfirms its policy to continuously and actively protect its innovations and intellectual property rights from infringements. DSM’s super strong polyethylene DSM Dyneema fiber is light enough to float on water but is also 15 times stronger than quality steel and up to 40% stronger than aramid fibers. It is used in diverse applications including bullet-resistant armor and clothing, ropes, cables and nets in fishing, safety gloves for the metalworking industry, and fine yarns for the sporting goods and medical sectors, and more.